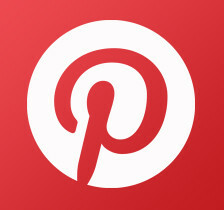 Sena Technologies has been a leader in motorcycle communication technology since their inception in 1998. 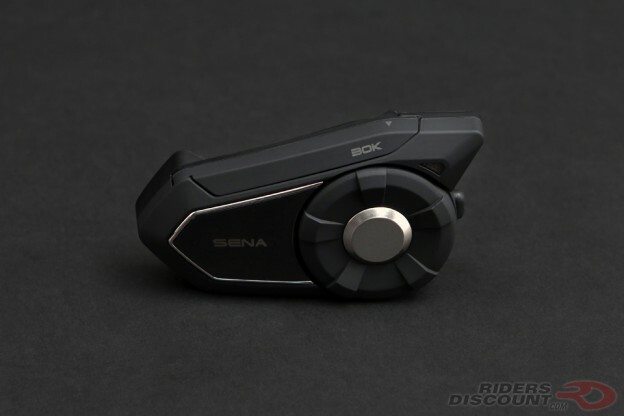 Here we feature the new Sena 30K Communication System. The 30K design features a new dual-antenna. 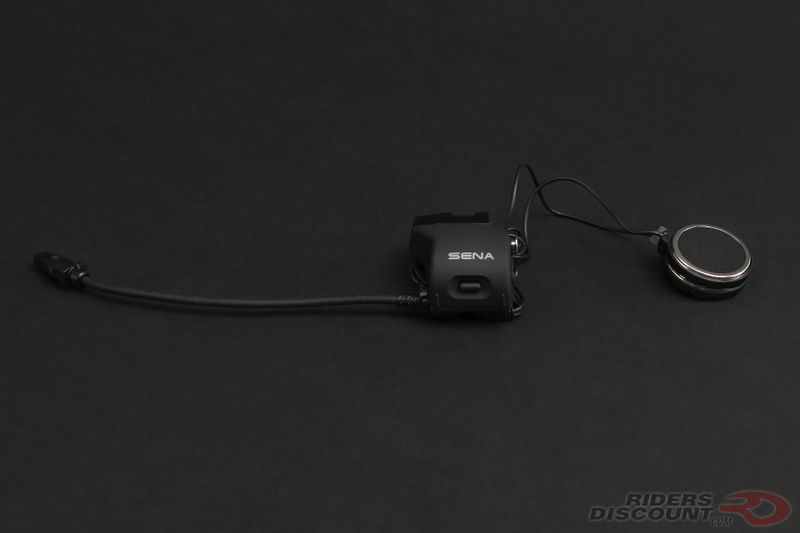 Sena’s Mesh Intercom Technology allows you connect with a “virtually limitless amount of 30K users” within a mile range. All you have to do is press the button on top of the 30K to turn on public mode. 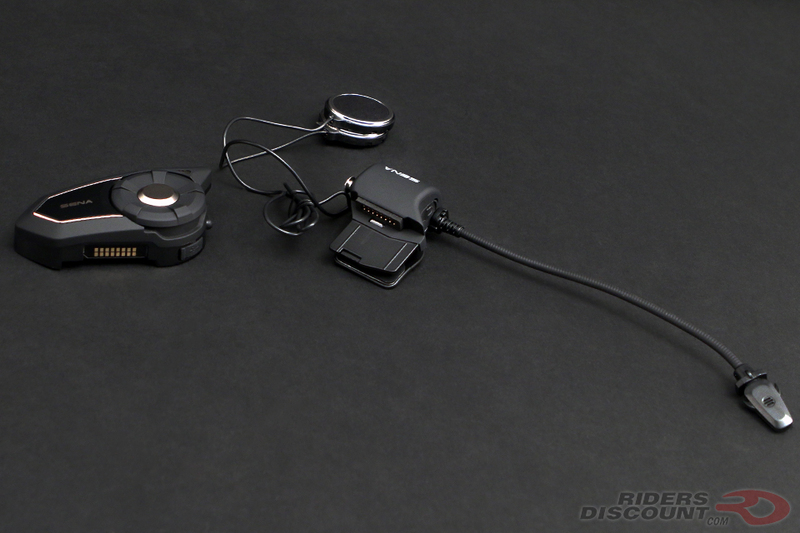 If one of a group’s riders goes out of range, the rest of the group remains seamlessly connected while the 30K searches for the lost connection and reconnects automatically once back in range. 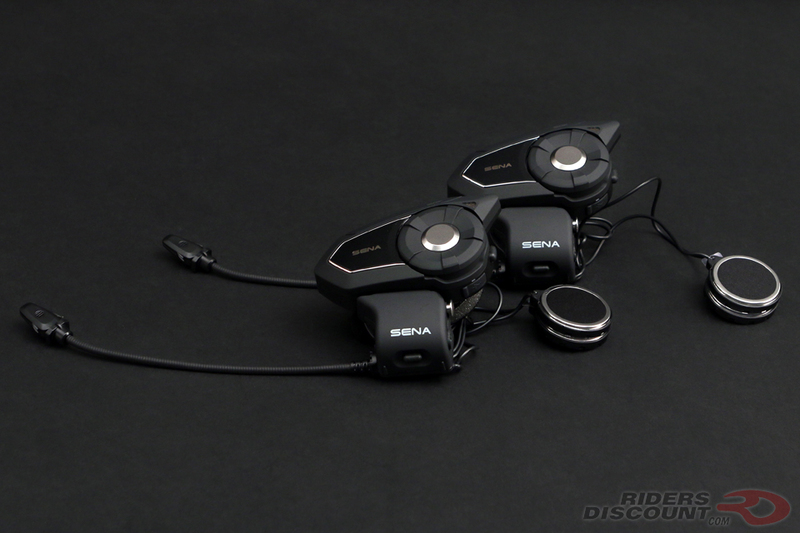 The Sena 30K is still Bluetooth 4.1 compatible and able to connect up to 3 other Sena and non-Sena Bluetooth devices. The voice prompting feature allows you to make hands-free commands. This communication system comes equipped with both a wired microphone and a boom microphone. 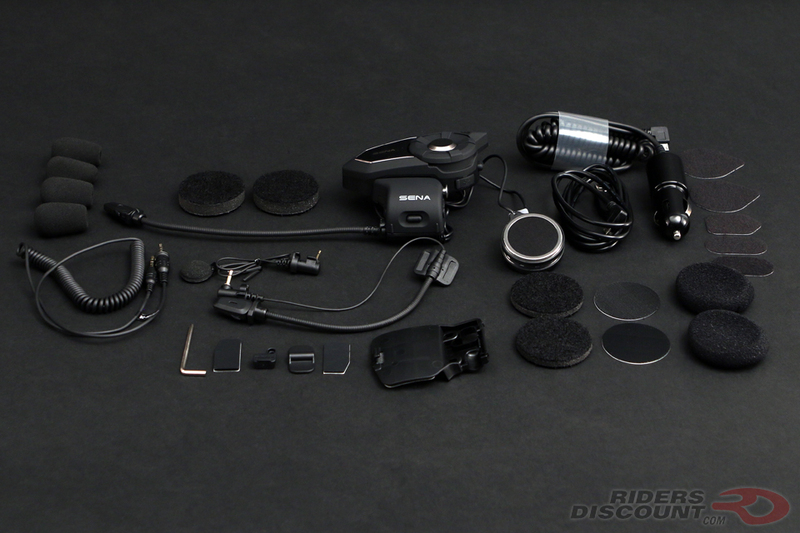 Included with the Sena 30K Communication System: headset main unit, universal helmet clamp, wired boom microphone, boom microphone holder, wired microphone, microphone sponges, USB power and data cable (micro USB type), 2.5 to 3.5 mm audio cable, cigarette charger, glued surface mounting adapter, rubber pads, speaker pads, hook and loop fasteners for speakers, hook and loop fasteners for boom microphone, hook and loop fastener for holder, hook and loop fastener for wired microphone, allen wrench, foam speaker covers, and speaker port cover. The 30K is available in single and dual packs. This entry was posted in News, Product Reviews and tagged Motorcycle Communication, Riders Discount, Sena, Sena 30K, Sena 30K Communication System, Sena Technologies on November 2, 2017 by Riders Discount.